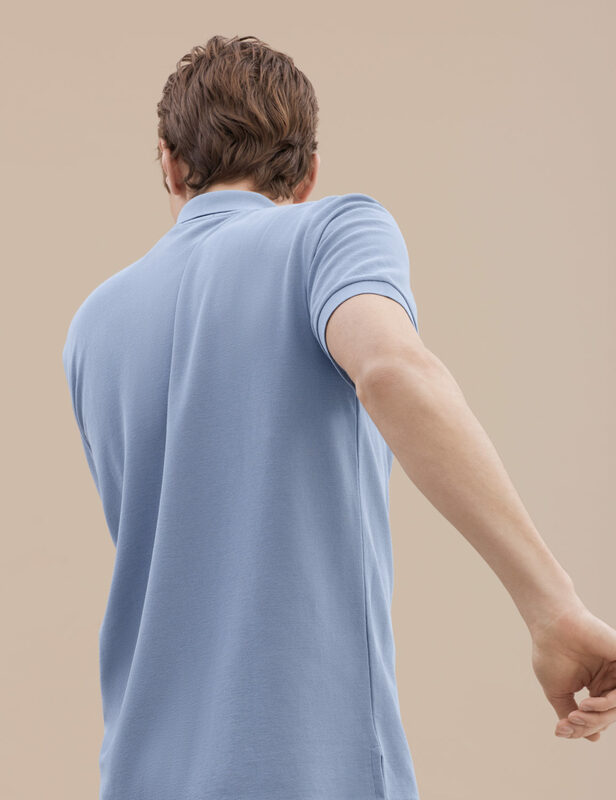 There are few iconic pieces more effortlessly stylish than the classic pique polo shirt. We bring our technical expertise to this wardrobe staple, giving it a luxurious update, while maintaining its original athletic appeal. It speaks to a refined sense of casual cool, expert craftsmanship, and a timeless, sophisticated aesthetic. Crafted from our premium Pique fabric — superfine two-fold yarn (60/2), made with the finest extra long staple Peruvian Pima cotton (100%). Details include håndværk buttons made from Mother of Pearl. Designed for a tailored, close to the body fit. We recommend that you take your normal size.